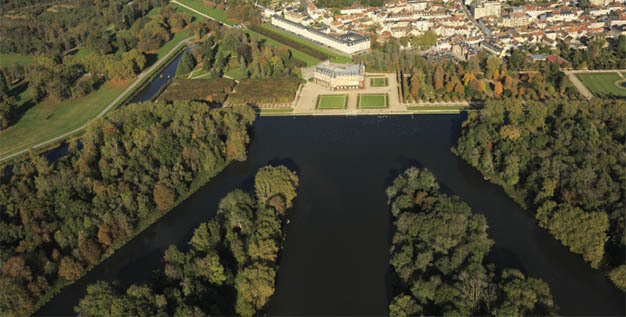 Built in the heart of a forest abundant with game, the Château de Rambouillet has welcomed some of the greatest figures in French history inside its walls. From the middle ages to the present day, princes, kings, emperors and presidents of the Republic have all made the estate their personal retreat. It was a private home where one could almost live like a civilian, far away from the strict etiquette imposed at official residences. Past residents include King Francis I of France, the Marquise of Rambouillet, the Count of Toulouse, the Penthièvre family, King Louis XVI and Marie-Antoinette, Napoleon I, Charles de Gaulle, Valéry Giscard d’Estaing and so many other illustrious men and women. 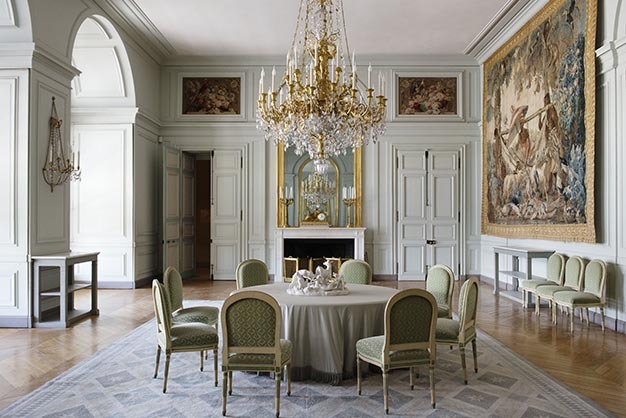 The rooms open to visitors are a testament to this rich history, such as the state apartment once occupied by the Bourbon-Penthièvre family, now an exhibition space that gives a glimpse of elegant rocaille wood panelling dating from the 1730s. Along another corridor, the presidential dining room features a recreation of the table as laid out in 1975 for the occasion of the first G6 summit, a milestone event in modern history. The owners were taken with the gardens very early on, as they gave the château in a true setting of greenery. As time went by and fashions changed the gardens were kept in the formal French geometric style, the more natural English setting, then landscaped. Today the historic gardens cover 150 hectares, are classed Remarkable Gardens and are kept using techniques that protect the environment. They can be visited on foot, but also by bicycle, pedal car, small boats, or small electric carts. 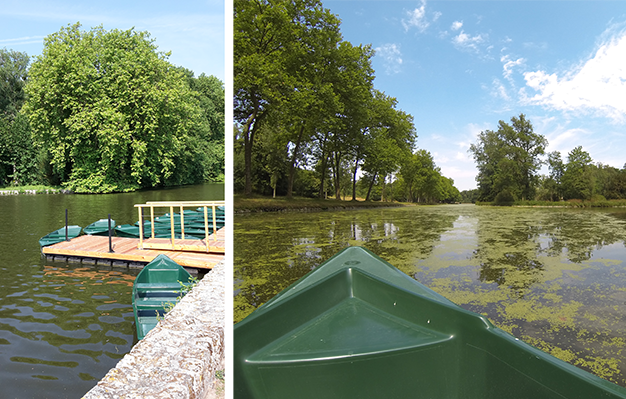 On the Rambouillet estate, the Centre des Monuments Nationaux is also opening two unique 18th century buildings, both set in an English formal garden, to visitors. 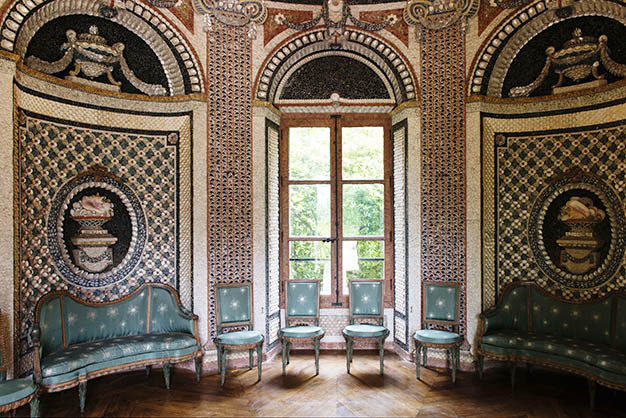 Commissioned by the Duke of Penthièvre for his daughter-in-law, Princesse de Lamballe, the Chaumière aux Coquillages or Shell Cottage is decorated in an elegant style unparalleled in Europe and features its original furniture made by François II Foliot. A gift from King Louis XVI to his wife Marie-Antoinette, the Queen’s Dairy expresses the opulence of the time and a way of life greatly influenced by the philosophy of the Enlightenment.